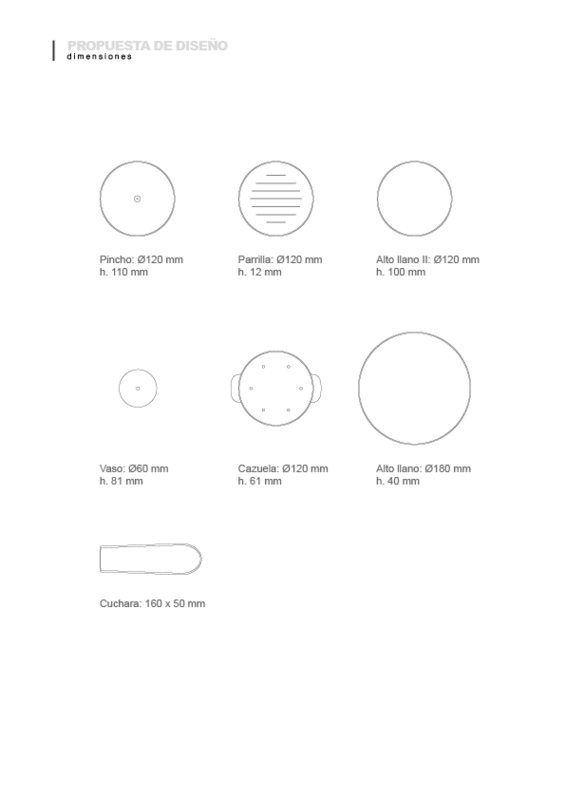 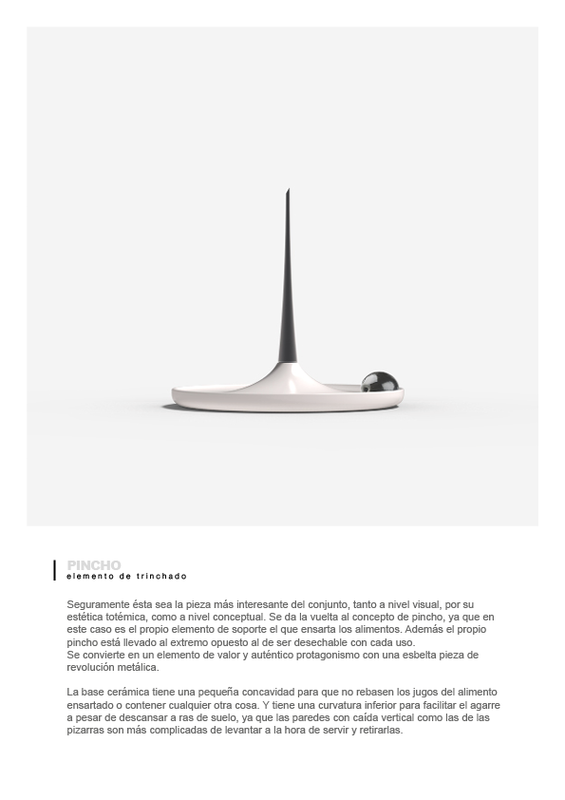 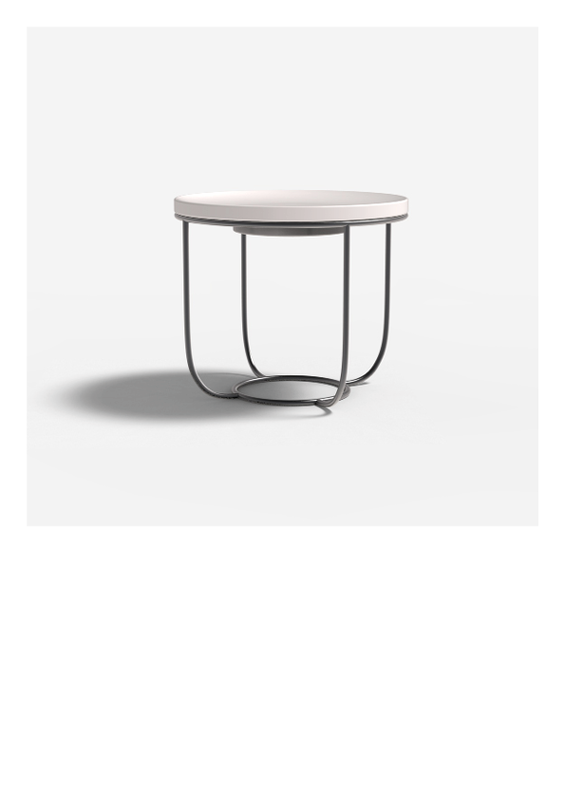 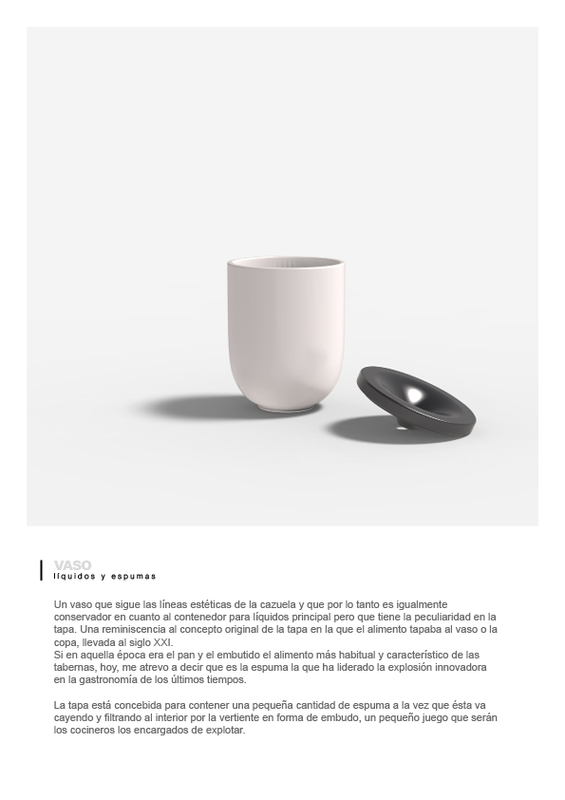 The subject for this project came from a personal interest for applying the knowledge acquired during the university formation in product design, to the food and tableware field. 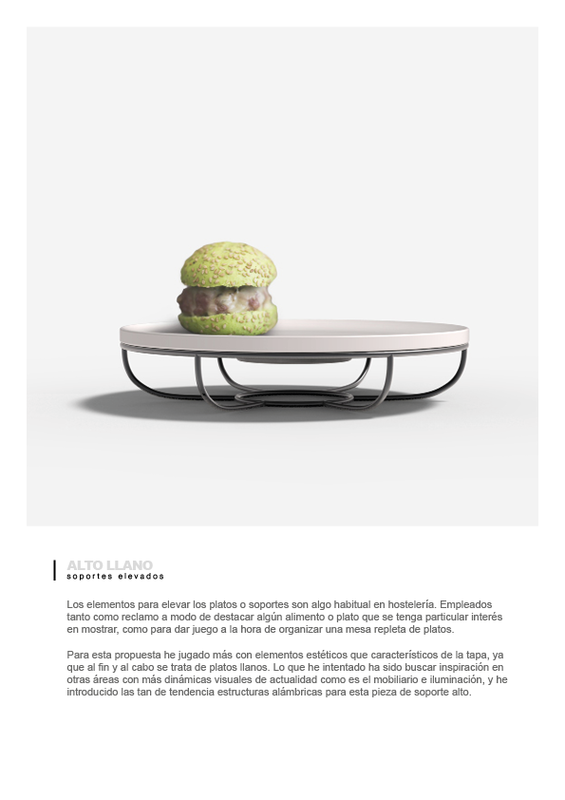 Design and gastronomy are two disciplines with numerous creative similarities that have experienced exponential growth in recent decades and stand on many others in the current spanish panorama for its constant innovation and creativity. 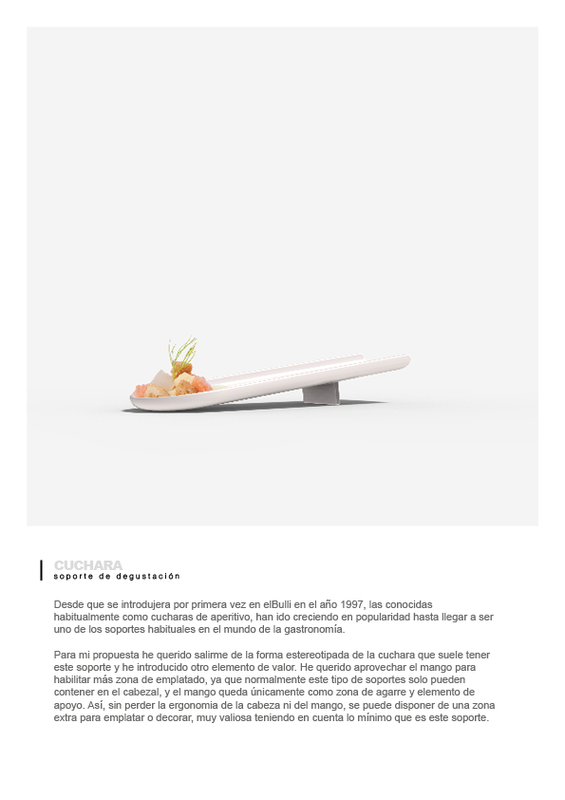 For this Final Master Project I studied and analyzed the historical evolution of these disciplines together and their role in the spanish cultural tradition. 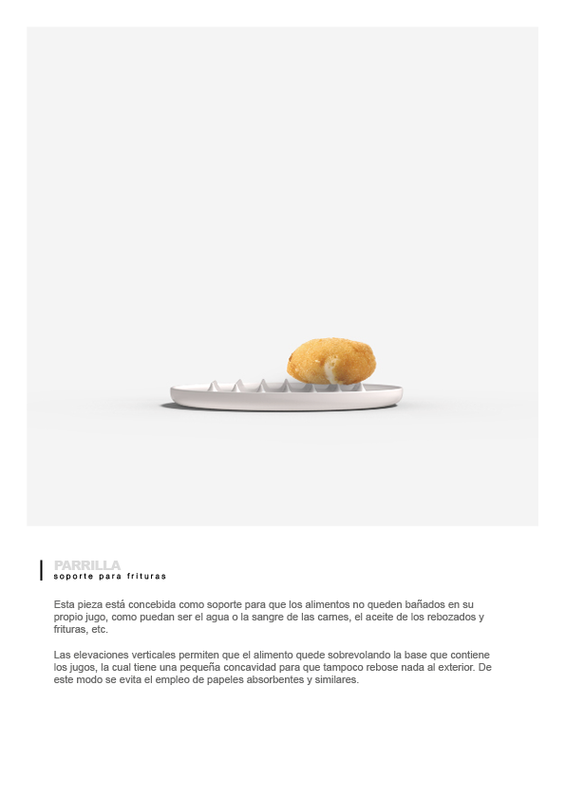 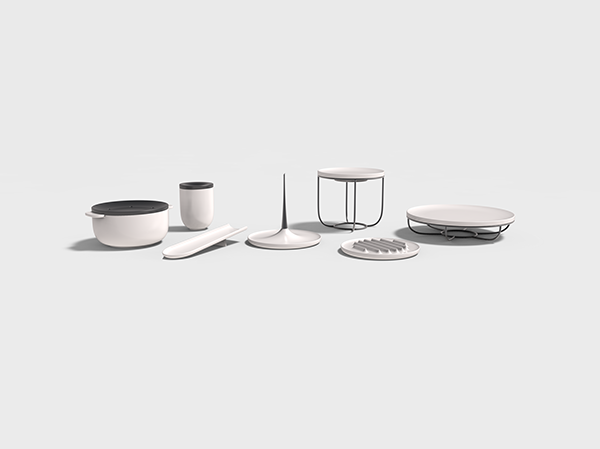 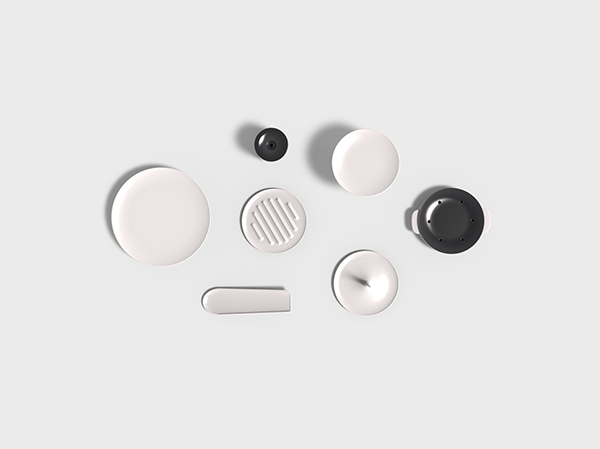 In addition, I focused in a particular gastronomic typology, the “tapas”, to propose new design tableware elements for this specific type of food. 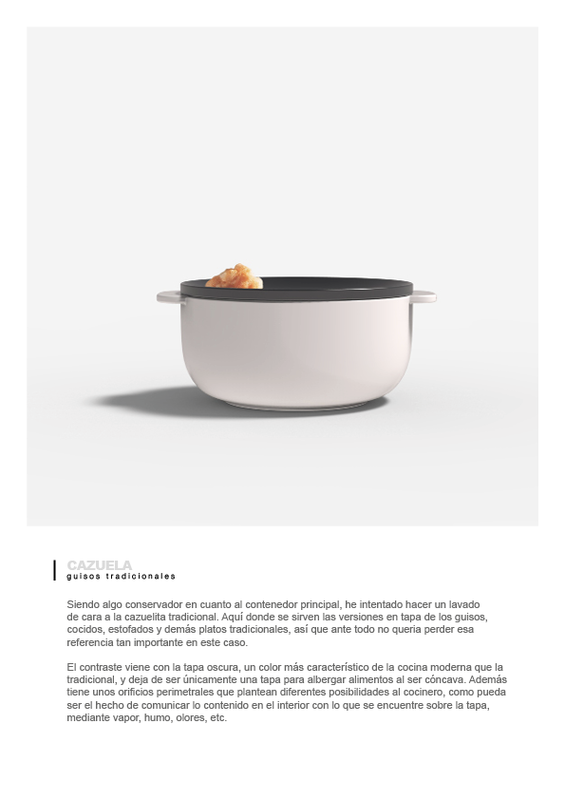 Tableware for spanish cuisine "tapas".